Today’s guest may very well be the biggest name in sales training today. I also believe he is one of the best. 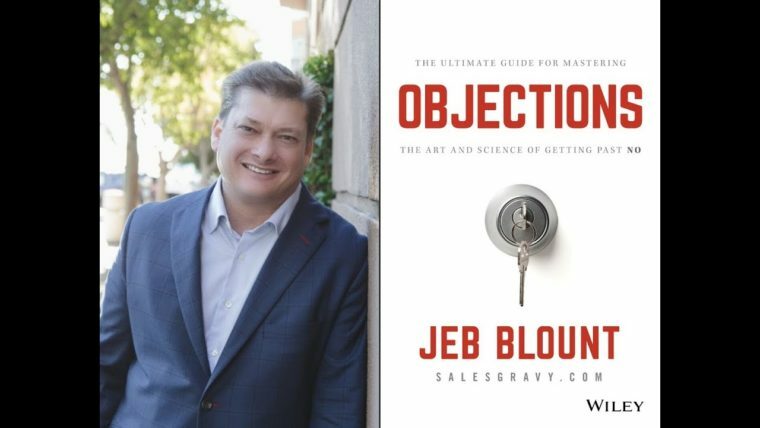 Jeb Blount has written 9 best-selling books on sales. 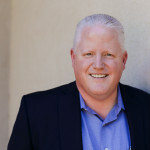 His book, Fanatical Prospecting which he published in 2015, struck a chord and has continued to resonate with thousands of salespeople everywhere. Jeb just released his new book, Objections, The Ultimate Guide For Mastering The Art And Science Of Getting Past No, on May 17th of this year and it immediately shot up the charts to a #1 bestseller. Jeb travels the US and internationally as he speaks 250 days a year to sales organizations of all types. Oh yeah, he also runs SalesGravy.com, the premier job site in the sales industry. You will definitely want to get out your pen and a pad to take notes. Jeb absolutely crushed it in today’s podcast. If you don’t learn anything… That’s on you. His dedication to sales as a profession and being a true pro. In 25 years he has made every sales mistake. Has had great success and great failure. His decision to leave corporate America and start his own company. Had to GRIND every day. How he worked so hard he hurt physically. How he got up at 2:00am to work on his business. It was intimidating and a blow to his ego to start over. He was willing to take a step back to move forward. The need to burn the ships. It leaves only one choice… to succeed! It took him nearly six years to get his company on a very sturdy foundation. There is no secret to success. Just hard work! GRIND. Why it has struck such a chord. There is a strong emotional connection with the readers. He wrote the book because he was pissed off at the charlatans who were telling salespeople they didn’t need to prospect. The tone and directness that someone would tell them the truth. The fear of interrupting vs. cold calling. The greatest fear for people is rejection and how it is a biological problem, not a psychological problem. The people who say cold calling doesn’t work are the people that aren’t cold calling. Our job in sales is interrupting people and we need to do it a lot. The need to balance your prospecting across multiple channels. Why so little has been written about objections…..
Why cheesy scripts don’t work. Why the advice, “Don’t take it personally” is dead wrong. Why buyers give you objections. We all have to face rejection and the fear that it creates. We can deal with it or run away. You can’t argue people into changing their mind. It brings out the inner brat in them. People are wired to pay attention to anomalies and ignore things that are the same. How objections create a physiological change in your body. The amygdala responds to real rejection and perceived rejection exactly the same. What a ledge is and how it allows for the magic 1/4 second. Reflex responses help you gain control of your amygdala and engage your neocortex. Prospects are wired to argue with you. When you agree with them it totally shuts them down. Why we should get lots of small, low-risk micro-commitments. The investment effect – We tend to value that which we invest in. We want a yes or a no… Maybes kill you. Looking for how many micro-commitments can I ask for (within reason) to extend the sales process so that it isn’t too long but isn’t too short. You must get the next micro-commitment. If you walk out of any meeting with anybody and you don’t have a next step, you have failed. You have to get a next step and that next step has to be on their calendar and your calendar. Don’t introduce objections… That’s stupid. 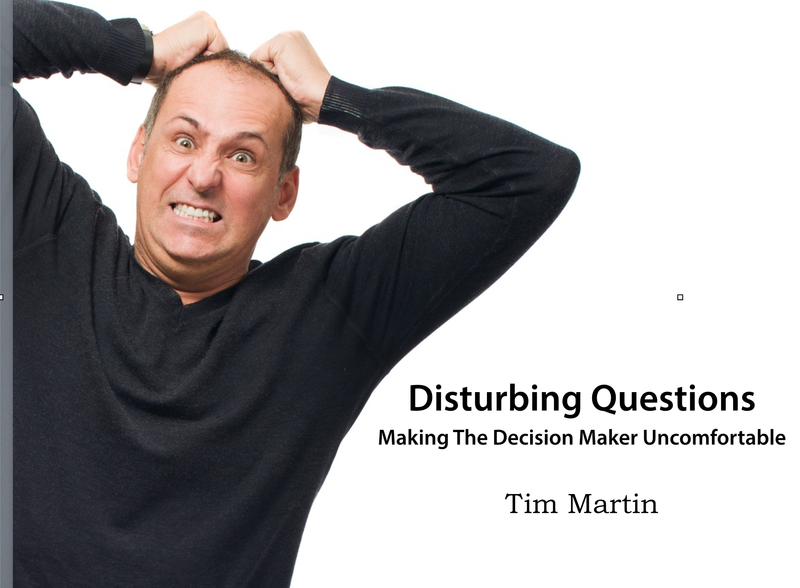 Being afraid to ask the hard questions because you might get an objection is just as stupid. Dealing with objections at the micro commitment level is much easier than at the buying commitment level. There are “impossible objections” that you will never get around. 80% of the sales process is creating an emotional connection and discovery. The difference between objections and negotiation. The process of killing your deals. Looking at every scenario that could kill the deal. Salespeople are often delusional about what is in their pipeline. The importance of Voluntary Benefits and why Jeb has a special place in his heart for Voluntary Benefits agents. You will definitely want to join me again next week when I bring on David Allen, the author of Getting Things Done -The Art of Stree-Free Productivity. I honestly credit reading this book as a massive turning point in my LIFE (Not just my career.) If you feel you need to get control of your time and/or productivity, you can not afford to miss next week’s podcast.